PSA Group will offer plug-in hybrid or electric versions of every model in across its five brands by 2025, with all new launches from 2019 set to include plug-in variants. The roll-out will be quick; within the next two years, the company said it will launch 15 new plug-in vehicles, based on the two platforms which will soon underpin its entire product line-up. In turn, this will make it possible to produce combustion engine, hybrid and electric vehicles on the same line. Unlike some manufacturers, those goals do not include ‘mild hybrids’. 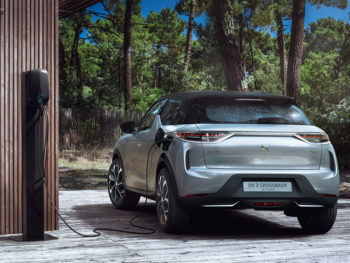 The company will launch eight plug-in hybrids by the end of 2020, starting with the DS 7 Crossback SUV, and with versions of the Peugeot 3008, 508 and SW, Citroën C5 Aircross and the Vauxhall and Opel Grandland X. Depending on the model line, they will be available with two or four-wheel drive, offering CO2 emissions of 49g/km or less. Seven electric vehicles are also in the pipeline, though PSA Group has not offered as many details. An electric Corsa is coming in 2020, and there will be a battery-powered version of the DS 3 Crossback compact SUV too. With platforms used across passenger cars and commercial vehicles, there are opportunities for electrified vans as well.